Uncoupling protein 1 (UCP1) is an integral protein of the inner mitochondrial membrane (IMM) that is expressed specifically in brown and beige fat depots. UCP1 is responsible for the production of heat to control core body temperature, the regulation of fat metabolism, and the energy balance. As an uncoupling protein, UCP1 transports H+ across the IMM in presence of long-chain fatty acids (FA), which makes brown fat mitochondria produce heat at the expense of ATP. However, the exact mechanism of UCP1 action has remained difficult to elucidate, because direct methods for studying currents generated by UCP1 were unavailable. 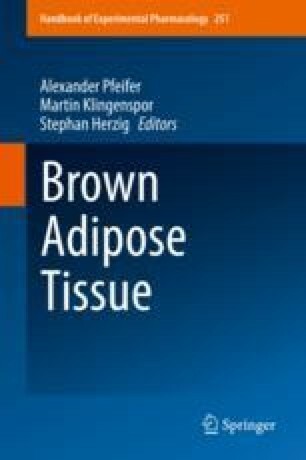 Recently, the patch-clamp technique was successfully applied to brown and beige fat mitochondria to directly study H+ currents across the IMM and characterize UCP1 function. A new model of the UCP1 mechanism was proposed based on the patch-clamp analysis. In this model, both FA anions (FA−) and H+ are transport substrates of UCP1, and UCP1 operates as a non-canonical FA−/H+ symporter. Here, we summarize recent findings obtained with the patch-clamp technique that describe how UCP1 can transport not only H+ but also FA−. This work was supported by NIH grant 5R01GM107710 to Y.K.